After taking a short break ‘House of Disco Records’ are back with a purpose. Not content with the adding to the plethora of ‘Disco Edit’ labels representing the genre they have opted to walk a more distinct path, determined to lean on originals or clever sampling as opposed to outright re-rubs. In this their twelfth release they recruit previous label-mate Harry Wolfman and compadre Skinny Love to provide three stunning dancefloor ready originals. 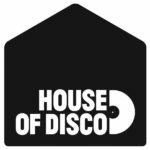 The duo have certainly delivered on the brief and turned in three diverse and clever takes on what a modern Disco track with a House soul can represent. On remix duties they have recruited a promising young producer ‘Kickflip Mike’, who has released on Box Aus Holz as Joschka Seibt and paired him with experienced disco merchant ‘The Revenge’ who is responsible for some of the best remixes we know of, and he doesn’t disappoint here with either remix. Also as a cheeky bonus our buddy from New York Jkriv has crafted a remix that wil only be available to download on digital from beatport.